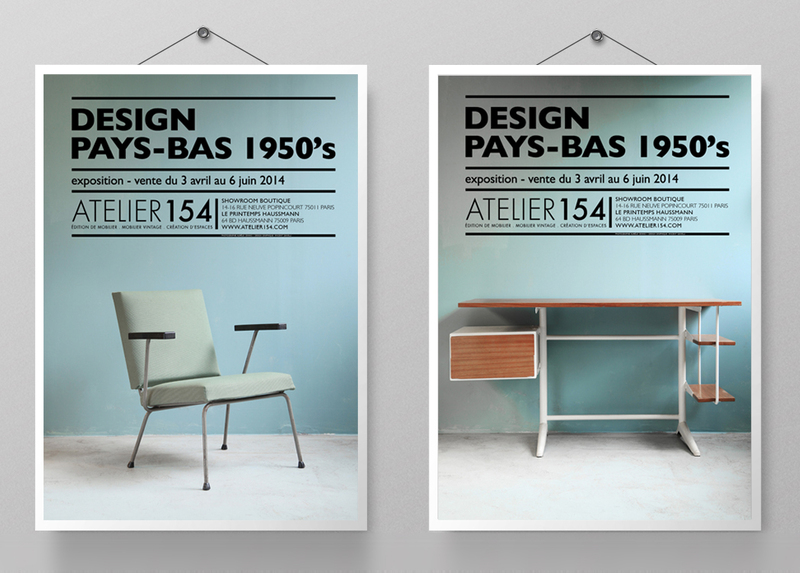 | ATELIER 154/ UNE SÉRIE DE POSTERS POUR UNE EXPOSITION-VENTE SUR LE DESIGN HOLLANDAIS. PRIORITÉ À L’ICONOGRAPHIE & COMPOSITION GRAPHIQUE MARQUÉE. PHOTOGRAPHIES AURÉLIE CENNO.